Here are a set of photos of my latest paint project. 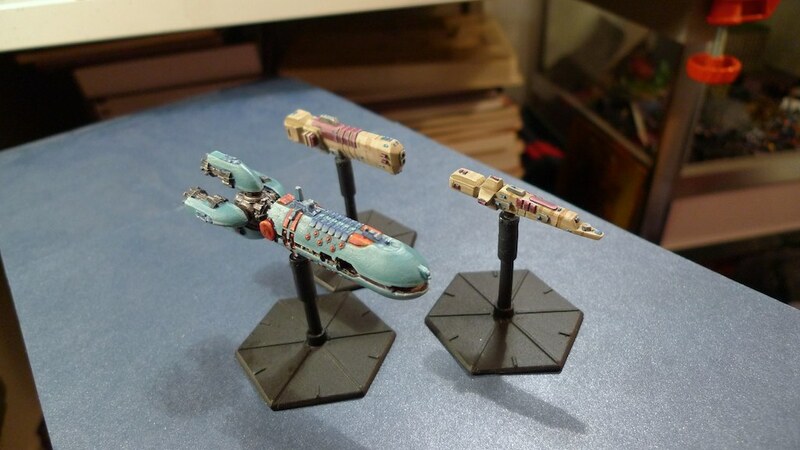 I play the GZG (Ground Zero Games) full thrust space combat game and I intend to use the small scale space ships as part of a fleet in the game. They are from Ninja Magic in the US and are from the Alien race "Jun-ila". The Jun-ila build space ships on-planet rather than in orbit so the ships are designed like rockets which can launch into space by burning into orbit. 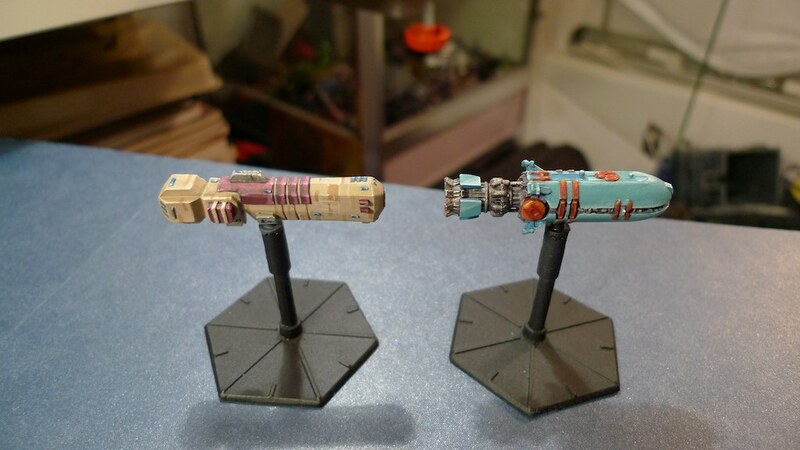 The smaller Huala class ships are single piece models and the larger carrier model, the Dalasin Class Drone carrier is a single hull with 4 engines/exhausts to glue onto to back. They are highly detailed being designed in 3d before printing direct into 3d print. 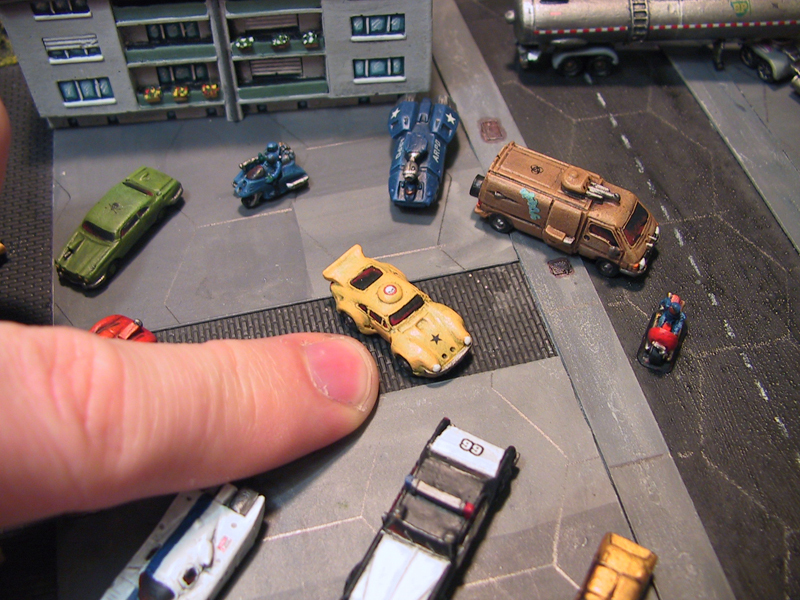 The results are very fine details that you have to be near these models to appreciate. 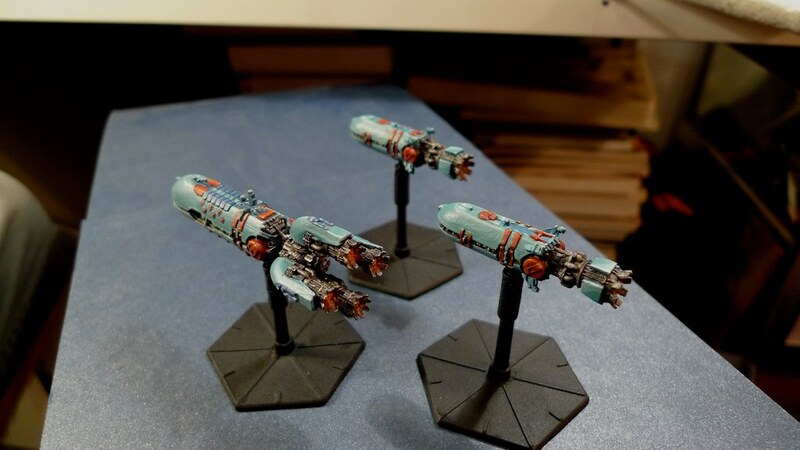 It was certainly fun painting them and if you are patient and careful with your paint the details will show through nicely. 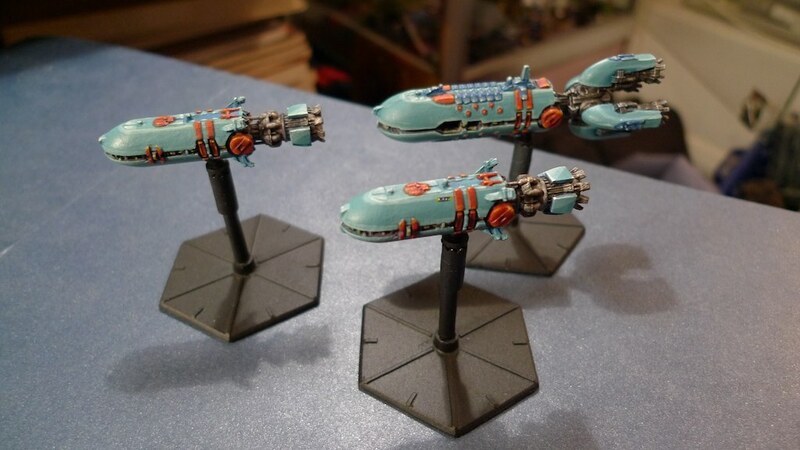 I painted them with Privateer Press p3 paints and my youtube tutorial (see earlier article : http://rottenlead.blogspot.com/2010/03/ninja-magic-space-ship-painting.html ) Is a simple guide with tips on how to use the wet pallet and P3 mixing medium that Privateer press provide. It is a liquid pigment paint so it thins very well and great for work at this small scale. 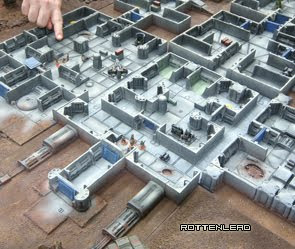 In the photo below you can see them compared to the size of the Zandris IV miniature line.